Good morning sir. The idea of starting this letter with ‘good morning sir’ is not to forcefully bring you into Biafra agitation or make you a Biafran leader or commander. The singular reason for that greeting is to call your attention that you are going into something new. You might have not woken to that fact and that is why am waking you. Once again; Good morning sir, the major thing to consider is how to being a Biafra agitator because you are now one of us. You were meant for this time; this is that time in the history of a man responsibility is defined; the way this responsibility is defined goes a long way to determine the legacy one sets. Like we still attack Nnamdi Azikiwe that had he done it like this or that, things would have been like this or like that. A time would come when today’s children will question your commitment to your people. 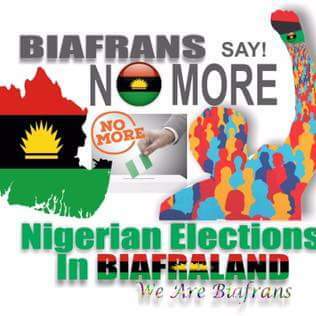 In case you don’t know; Biafra is pregnant, what we don’t know is what it would beget. The court said you will appear before it on 20th November to explain the absence of Nnamdi Kanu; one thing is very clear, you will either forfeit your 100 Million Naira or help the Nigerian government in their game of Kanu’s puzzle. You either wake up or confront the Nigerian military to give you Nnamdi Kanu or start searching nearby bushes to get his dead body or wounded body if he is still alive. As much as we all know; he was taken away by the military during their invasion. I have no sympathy for you; don’t be offended, we are talking about you losing 100million Naira or getting jailed for a few years. I want you to draw courage from the fact that millions of lives have been lost on this very topic you are entwined. On the day the military invaded Nnamdi Kanu’s home; 28 healthy, promising and gallant youths were murdered. Do I need to start listing what your own people have lost in the hands of the Nigerian establishment for this same issue you found yourself in? I appreciated you and I called you a strong man; I walked the streets of Igweocha saying if only other senators will be brave like you. I toured Delta state telling them that we are now certain of a true representative. I toured Abuja telling Northern people that our political leaders have learned how to love us. I toured Enugu state saying that Senator Abaribe is my role model; I can’t imagine you fizzling out now. I can imagine you boldly telling that court that the military should rather provide whom they swallowed and not you. Fight them, make a case, don’t beg anyone, but morale is low. I heard you asked the court to withdraw you as a surety? 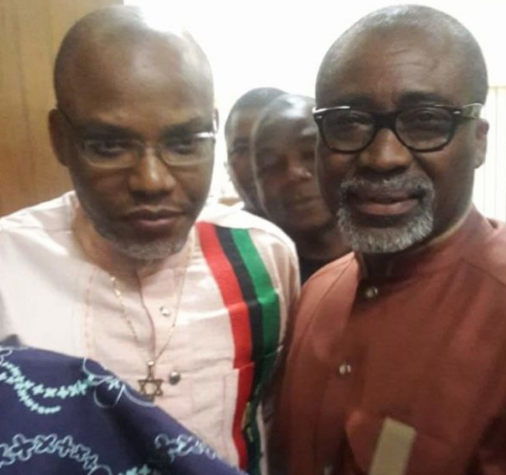 My dear senator; why do you Biafran political leaders fear so much? Do you at all know that Buhari stood boldly as the chief negotiator of Boko haram and do you even know that Buhari refused to call Boko haram terrorists; he said they are his misguided brothers. Did you forget that a senator there with you was and is a sponsor of Boko haram; did you see him nervous? Please; better call me to replace you; you will take all the salaries and allowances but allow me talk where due. Chai; were you not the senator that was fighting over Biafra on the red chamber? You said strong words and did brave things there? Now is the time to act your words and I heard you said you want to be withdrawn on the basis that Nnamdi Kanu has been labeled a terrorist. Although I understood that you don’t have equal right because you didn’t come from the ruling class but second class; but why shiver over nothing? Dear senator; this letter is not meant to drill you alone but give you clue on how best to survive this situation. Let me remind you that you standing surety for Nnamdi Kanu was a gamble; you have made a difference and should be rest assured that your political career is covered. As I once said; I will forever vote for you anywhere I see you contesting for any elective position, Biafra or Nigeria. I am also convinced that millions of Biafrans will do same for the singular reason that you identified with them when your colleagues never had the courage. To avoid losing on both ends; it is high time you start seeing yourself as a Biafra agitator and you must cherish the fact that Nigeria dragged you into that. We are all aware that Nigerian military invaded the home of Mazi Nnamdi Kanu and since then has been missing. The people of Biafra have called on the military to provide their leader but they refused and if they have killed him; they should then provide his corpse. Nigerian minister of defence admitted the invasion and yet the trial judge had the gut to demand Nnamdi Kanu from you is a deliberate act to drag you into Biafra and you should not be jittery. I want you to face it ruggedly; go to the court and question the legality of asking you to provide a man the military swallowed. Go to the face of Justice Binta Nyako and tell her to ask the Nigerian army that pre-judicially attacked a man under her court’s authority. Finally; if you fail to make a bold step and nervously succumb to their game, I will withdraw my vote of confidence and continue seeking for that politician that would have it. I had thought Ekweremmadu will have it but you snatched it with the claws of an eagle. Face the court and challenge them to do the right thing because you have no case to answer. If you fight and lose your money; Biafra will pay you back even though 3.5 million that died would have loved to lose their money than their lives, if you go to jail, it is not too much for your people. What I want is a legal fight! God bless Prophet Nnamdi Kanu. God bless Biafra and all the lovers of freedom.